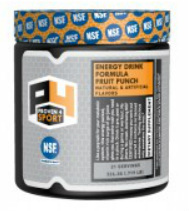 P4 Certified Energy Drink formula is NSF certified for Sport and banned substance free. P4 is like a pep talk for your metabolic system, this energy packed, vitamin rich surge of go-juice gives you that extra rush you need in a pinch! 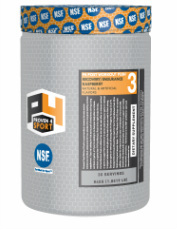 Our P4 Recovery Push formula is a intramural workout endurance formula and a post workout recovery formula stacked into one great tasting sports supplement. Take this product during and intense workout or game or after to extend your energy endurance and decrease your recovery time without suffering from caffeine overload. 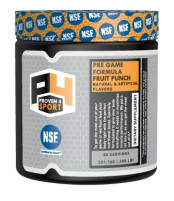 This product works great after using the P4 Pregame Formula(1) or P4 Energy Drink(2) or can be used by itself.